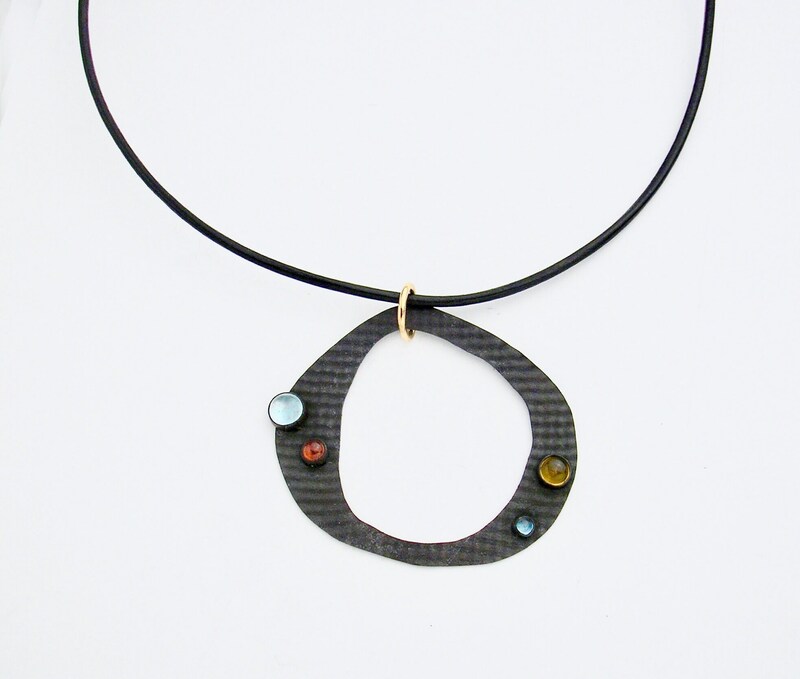 A retro-modern necklace features imprinted and blackened Sterling Silver in an abstract circle, set with four natural gemstone cabochons (Garnet, Citrine & Blue Topaz) in varying sizes. Pendant measures approx. 5 cm x 5.5 cm, and is suspended from a black leather neckcord by an 11mm 14K goldfill loop.